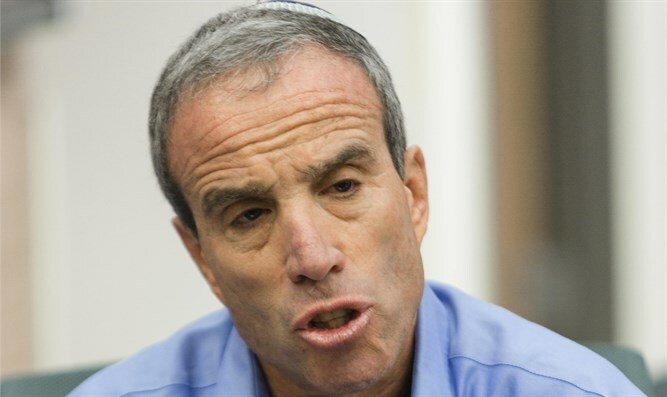 Opposition MK Elazar Stern (Yesh Atid) called on the Israeli public to stop pressuring the government to release soldiers who are held by Hamas. According to Stern, instead of discussing freeing imprisoned terrorists, Israel should worsen the prison conditions of Hamas terrorists, "even if that means there will be a tumult in the jails." "I was against the 'Shalit deal,' and I was the one who had to tell the Shalit family their son was kidnapped," Stern explained. "It is unfathomable that we are so proud and strong, but we don't know how to properly pressure Hamas." "More than the Israeli government listens to you, Hamas listens to you," he warned. Stern also said that the Israeli public still feels burned by the Shalit deal, and understands that we need to find options other than freeing terrorists. "If policy had been different, Shalit would have been freed much earlier, and Hadar Goldin and Oron Shaul's bodies would already have been returned." In the 2011 "Shalit deal," 1,027 terrorists were released in exchange for IDF soldier Gilad Shalit. The released terrorists include murderers and their facilitators. 202 of the released Shalit prisoners have since been rearrested by the defense establishment for involvement in terrorism, of whom 111 are still in Israeli prisons, and seven Israelis were murdered directly or indirectly by those who were released. The bodies of slain IDF soldiers Hadar Goldin and Oron Shaul, have been held by the Hamas terrorist organization in Gaza since Operation Protective Edge in 2014.